From May to September of each year Coral Princess explores the straights and fjords of Alaska. These cruises depart from either Vancouver or Anchorage and spend the majority of the season cruising one way between the two cities. As the weather cools, Coral Princess makes her way down the US Pacific Coast to Los Angeles, starting a season of bucket-list Panama Canal cruising and South American adventures. You have a couple of options when it comes to the Panama canal – you can complete a round trip cruise from Los Angeles which will complete a partial transit of the canal, or you can do a Transcanal cruise where you will complete the full canal crossing from ocean to ocean. Coral Princess’ South American itineraries depart from Buenos Aires, Fort Lauderdale or San Antonio in Chile with a number of options giving you the opportunity to witness icy Antarctica. 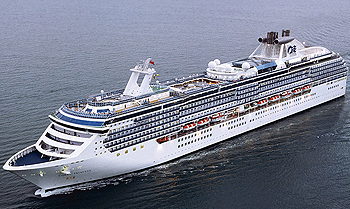 View all Coral Princess cruises, view a selection of Princess cruise deals, or view more options for Princess cruises. Leave it to Princess to create experiences the whole family can enjoy. The destinations we visit come to life with our Festivals of the World celebrations and Discovery at Sea programs like Shark Week. If youre looking for some friendly competition theres Wii family tournaments, indoor and outdoor sports, and The Voice of the Ocean, our high-seas version of the TV singing sensation where guests choose the winner. Princess makes it easy to sail together in comfort. 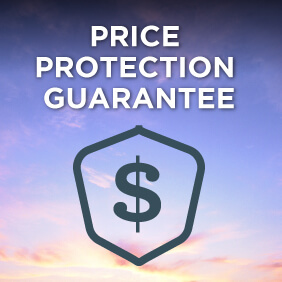 There is a wide selection of staterooms accommodating up to four guests, and youll enjoy substantial savings on your third and fourth guests. There are also connecting stateroom options, as well as Two Bedroom Family Suites, with room for up to eight guests, which offer more living space, a balcony and two bathrooms, including a full bath tub. The Princess Pizzeria is conveniently located poolside for a casual bite while relaxing on deck or while watching Movies Under the Stars. Serving the “Best Pizza at Sea” by USA TODAY, you’ll delight in the classic favorites like pepperoni and margherita, as well daily specialty pizzas. With Princess, young kids and teens have their own kind of fun – and their own place to hang out. Our youth and teen centers are fully equipped with everything from the latest video games and movies, to arts and crafts, fooseball tables, board games and jukeboxes. And for the littlest ones, activities like kids’ karaoke, pizza parties, pajama nights and more. This ship’s activities run the age-appropriate gamut for those under 18 – from Princess Pelicans (ages 3 to 7), and Shockwaves (ages 8-12), to Remix (ages 13-17). Nights are always a buzz with activity, and it’s up to you to choose your pleasure – from live theater and the big screen, to plush lounges, swanky casinos and dance clubs. A Princess Cruise means fun for the entire family – with activities for kids to keep them happy and special teen programs to get them involved too. The many activities onboard our ships are designed to stimulate, educate, entertain, inspire and sweat – not necessarily in that order. But, you can be sure we’ll do our best to cover all the bases. And from art auctions to our Lotus Spa, this ship is loaded with fun things to do. Sometimes floating serenely just isn’t enough – splash around, ride the waves, swim against the current or take a dip in one of this ship’s bubbling hot tubs. Our ships will keep you on the run, literally, with basketball, paddle tennis, jogging tracks and state-of-the-art gyms equipped with machines that’ll keep your heart rate pumping. 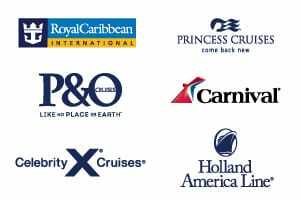 When is a cruise an opportunity to enrich? When it’s a Princess cruise. This ship offers area lectures, art exhibits and classes taught by local experts. Deals on designer clothing and gifts, including Lladro, Swarovski, Calvin Klein, Tommy Bahama, Lancome, Clinique, Estee Lauder, and Fossil – all up to 30% off. It’s on with the show in this art deco style intimate theater with dramatic lighting and three revolving stages creating an extraordinarily versatile performance venue. Settle into a comfortable seat and watch an engaging cooking class and demonstration, a trendy fashion show or expand your knowledge at an enrichment lecture series. Cabaret shows and full-scale theatrical productions will make it a night to remember. Our Princess chefs are true culinary artists who insist on serving the very finest cuisine – and it shows. Our entire fleet has been inducted into the prestigious Chaine des Rotisseurs gastronomic society. Each chef’s menu is creative and the selections change every day. Pair that with impeccable service and you’re in for an unforgettable gourmet experience.